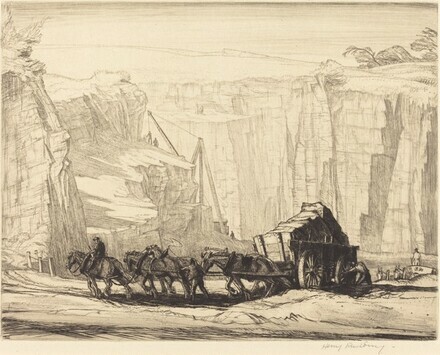 Wright, Harold J. L. "Catalogue of Henry Rushbury's Drypoints and Engravings, 1912-1923." Print Collector's Quarterly 10, no. 4 (December 1923): pp. 426-427, no. 22, ii/ii. Rushbury, Julia. Henry Rushbury: Prints, a Catalogue Raisonné. London: Royal Academy of Arts, 2010, p. 86, no. 22, ii/ii.